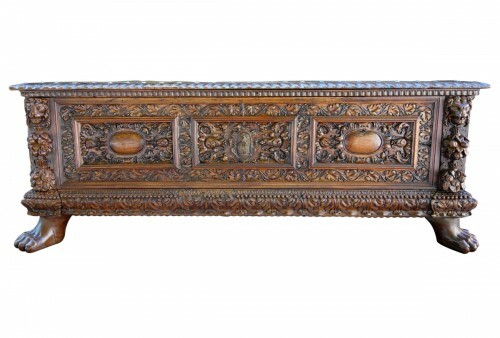 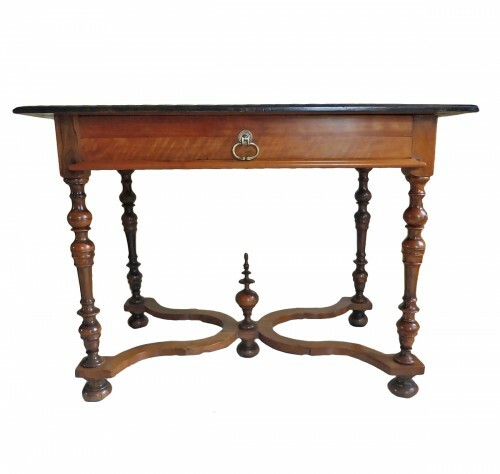 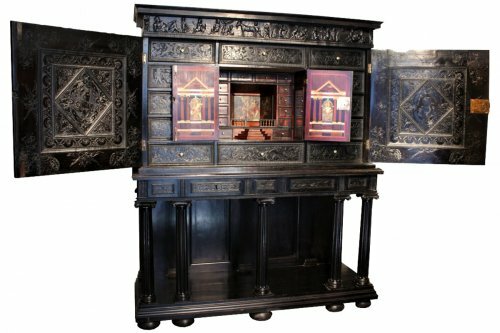 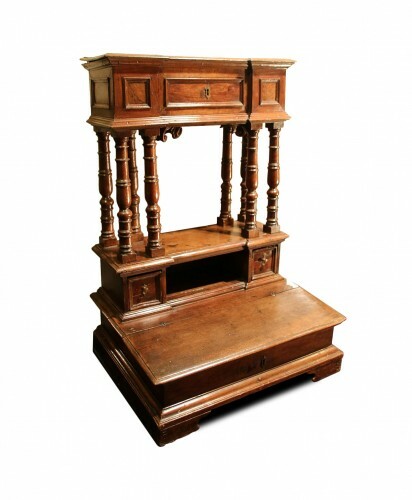 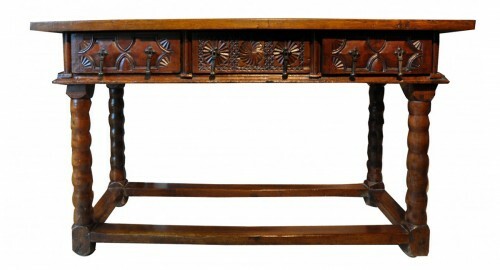 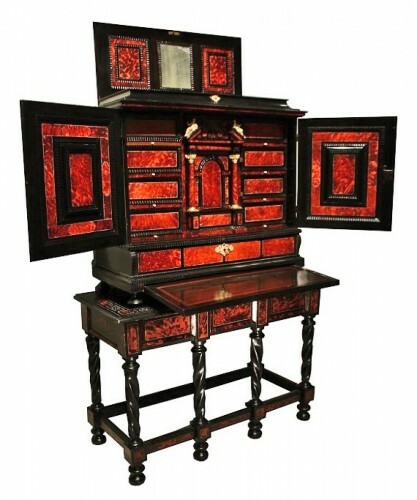 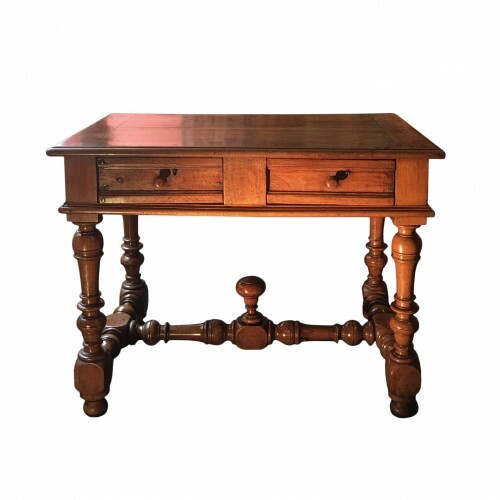 17th century furniture was designed as a reflection of the architecture of the era. 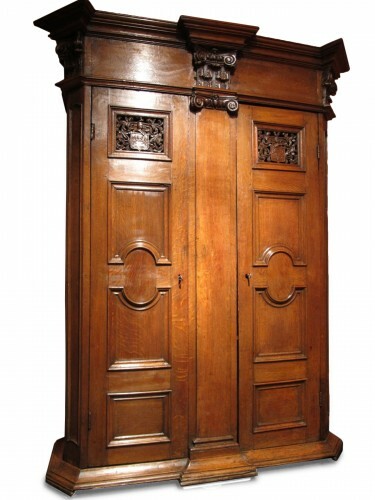 It is massive, heavy, straight and sober. 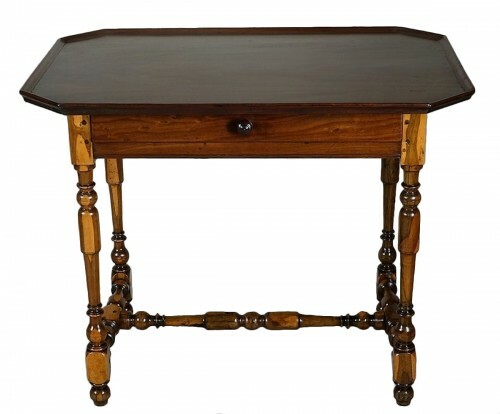 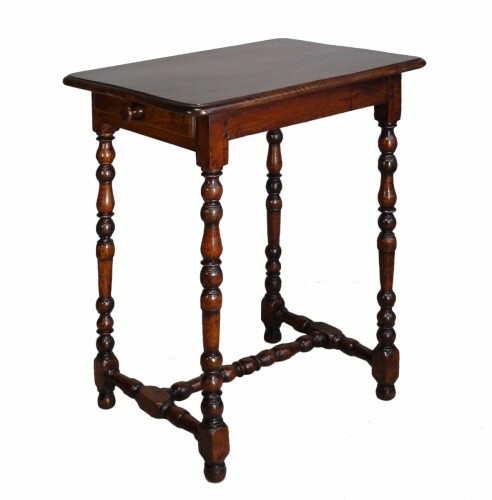 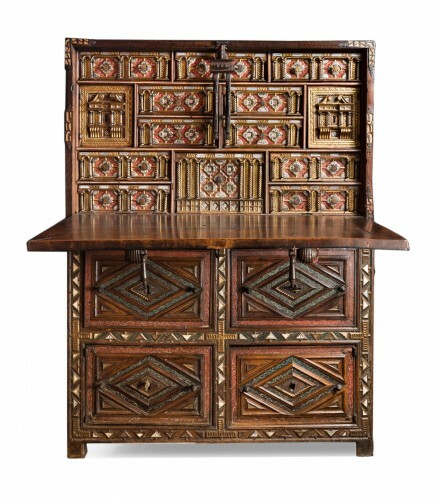 After a period of insecurity during the previous century, furnishings translated a desire for stability and comfort. 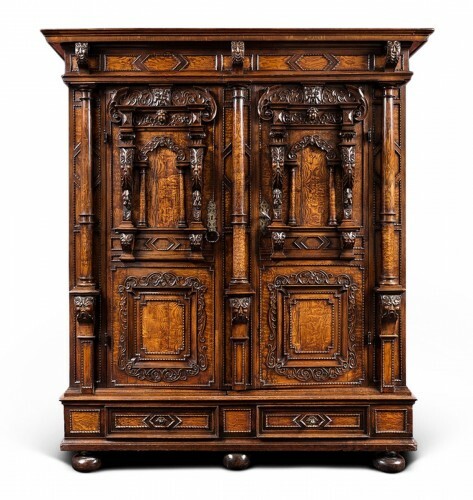 The wood used is most often solid: the regional species of wood, pine, and more generally oak and walnut. 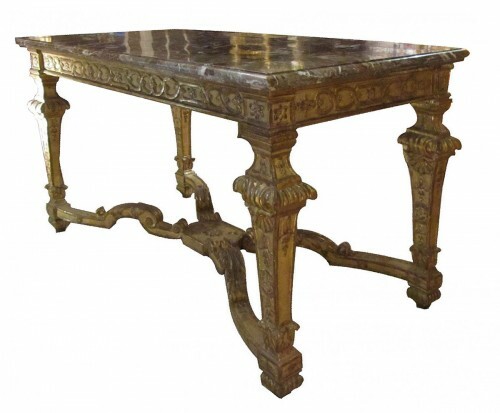 Inspired by Italian and Flemish trends, the pieces are both sober and original, straight then becoming more curved as the century progressed. 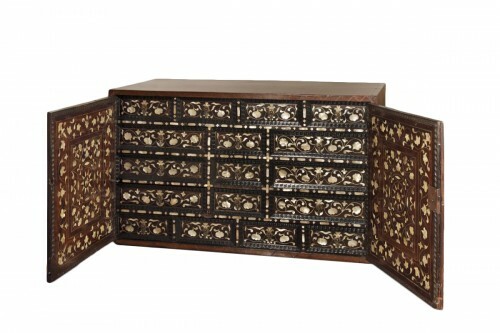 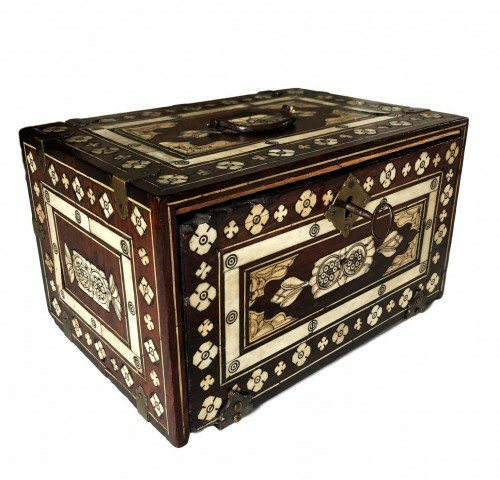 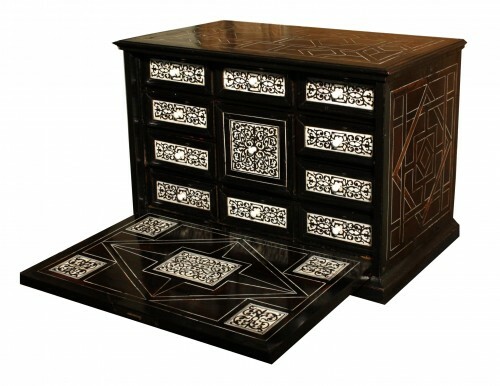 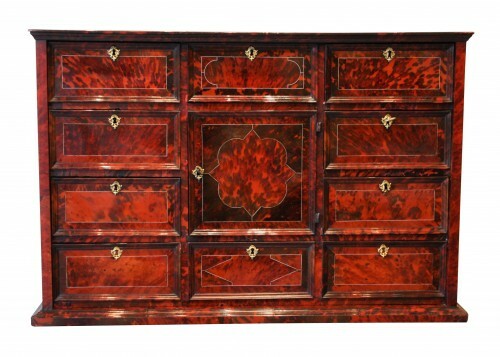 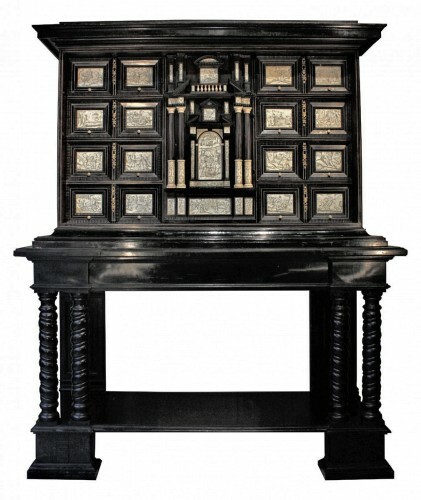 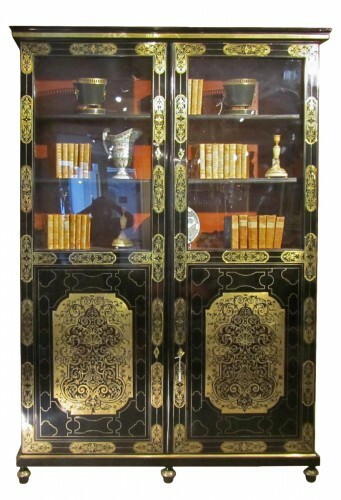 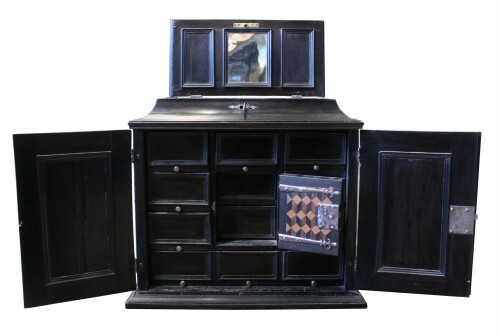 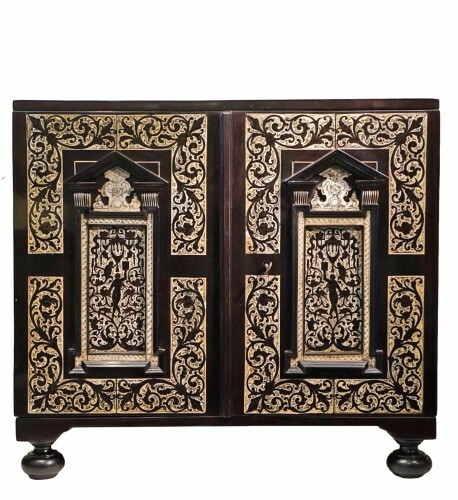 During the 17th century, ebony veneer and marquetry made their appearance. 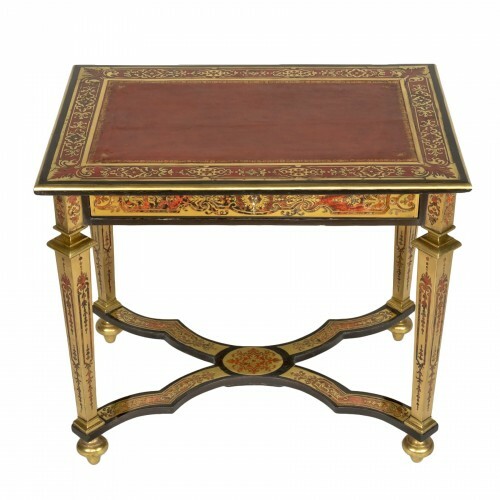 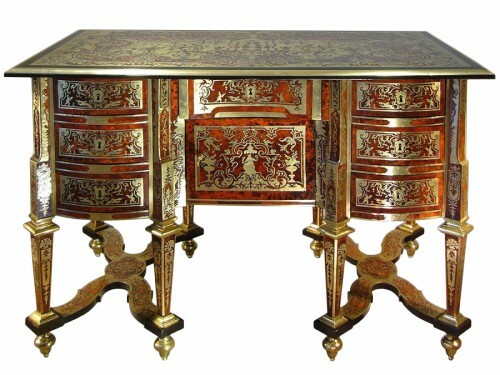 Boulle marquetry would appear on Louis XIV furniture in the following century. 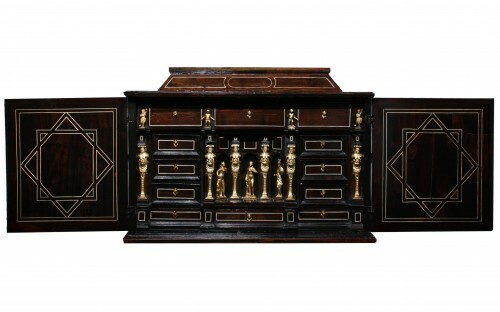 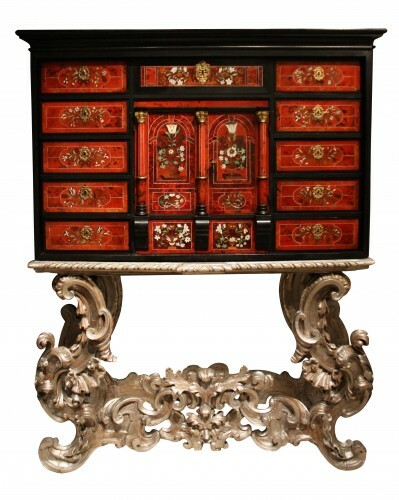 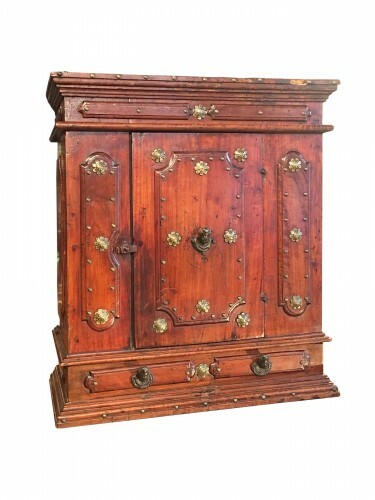 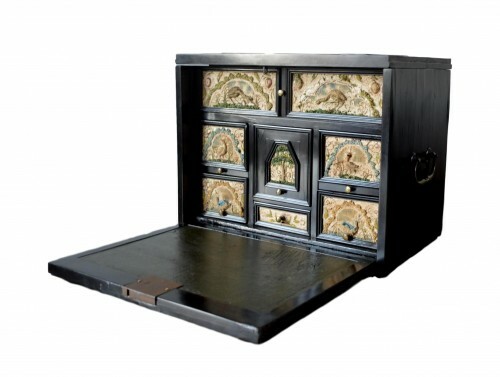 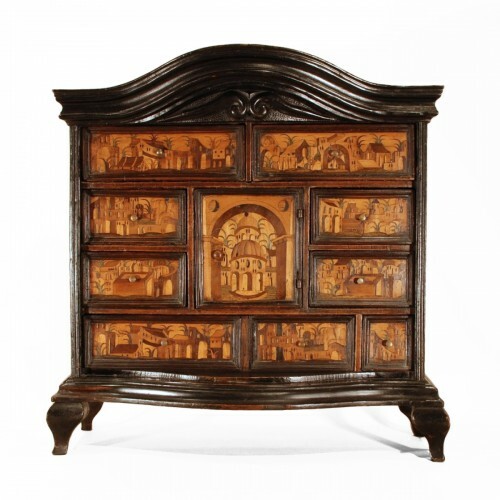 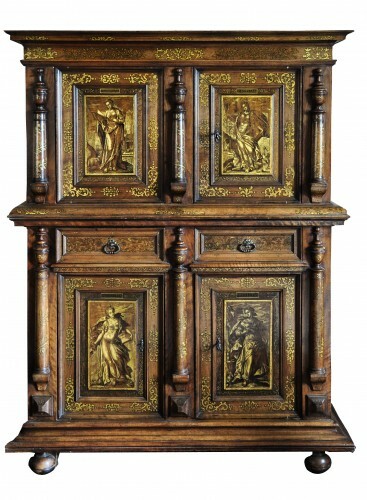 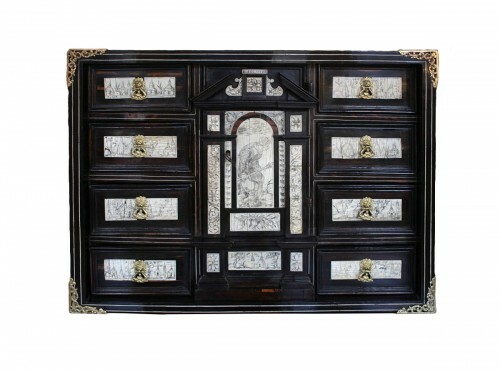 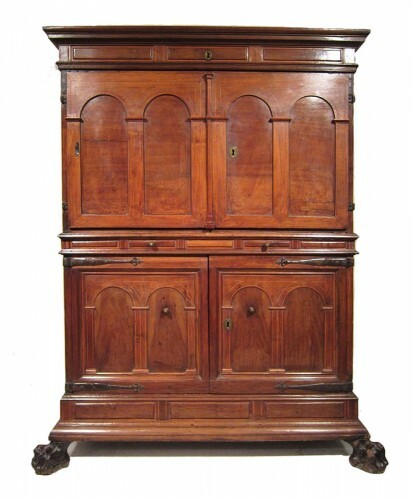 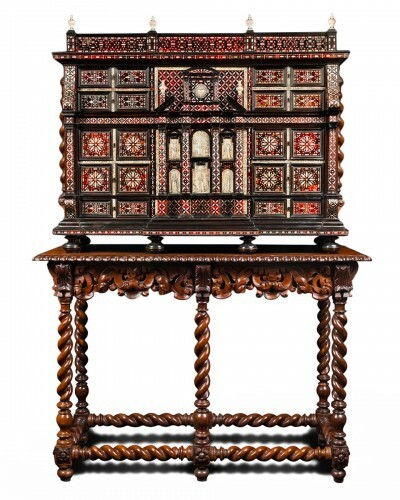 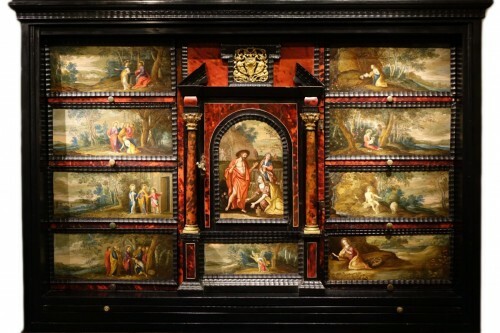 Among the typical furniture of the 17th century, one should mention the great variety of trunks, the armoire, the chest of drawers, the cabinet, the half-tester or canopy bed, and the bookcase.